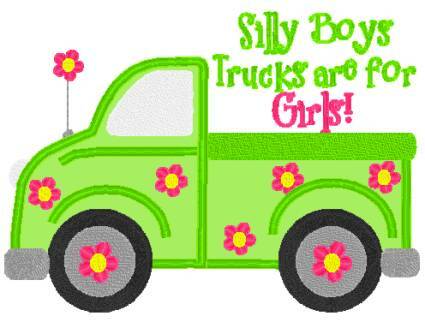 Girls like trucks, too, & this shirt expresses her feeling about just that! You choose white or grey T-shirt or sweatshirt in Youth small-Adult 2X. Choose pink/green, blue/yellow, Dark purple/light purple for this appliqued & embroidered design.